Liverpool’s most famous residents The Beatles wrote “Birthday greetings bottle of wine?” in their hit “when I’m 64” so whether it’s your birthday, a chance to catch up with friends, or for corporate entertainment a wine tasting in and around Liverpool is the perfect way to have fun and learn about wine. We have a number of different wine tastings and formats from pure entertainment to educational, but the most important element is having fun. All from ThirtyFifty the award winning tasting company. For more information or to organise a wine tasting contact us. 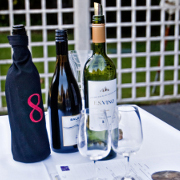 We run regular wine tastings in Liverpool from 2 hour evening sessions to one day wine courses. The tastings are educational and fun, ideal for anyone with an interest in wine. Below are forthcoming events in the area. The start time is 6:45pm for a prompt 7:00pm start. Not found what you are looking for? Register your interest in attending a wine tasting event in your area by completing the form below. Once we have a sufficient number of people interested in attending a local event, we will contact you with potential dates and venue details. If you are looking to go out for your wine tasting we have worked with a number of venues in Liverpool that we are happy to recommend. The list below highlights our most popular wine tasting venues in Liverpool, to see our full list of venues across the country please go to our venues page. To organise your first tasting contact us and set a date! Join us for a one-day wine course as part of a weekend package including meals and accommodation, all from as little as £159.